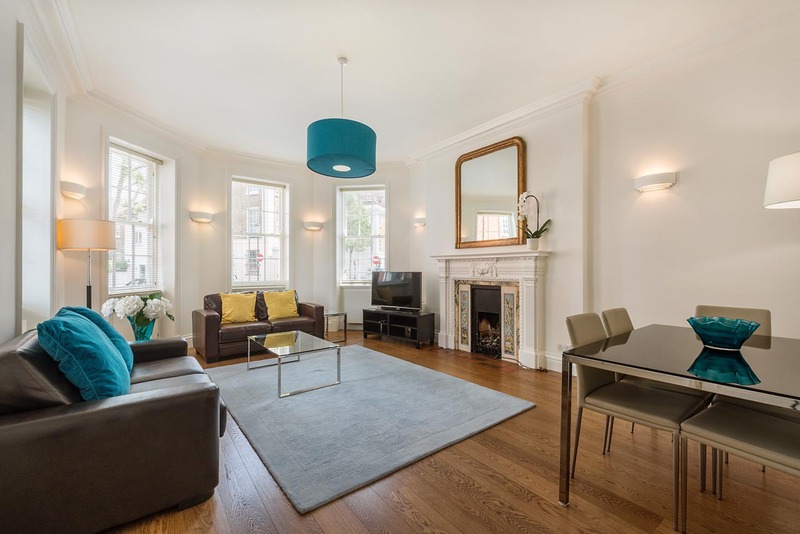 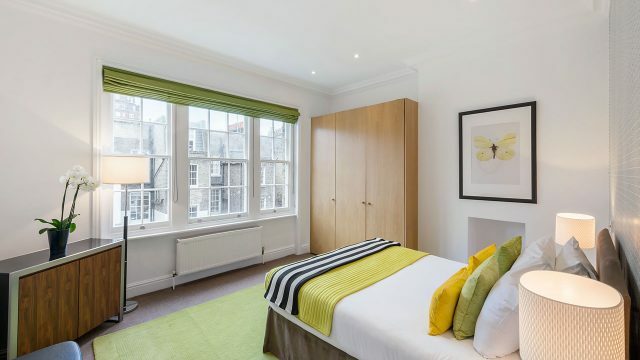 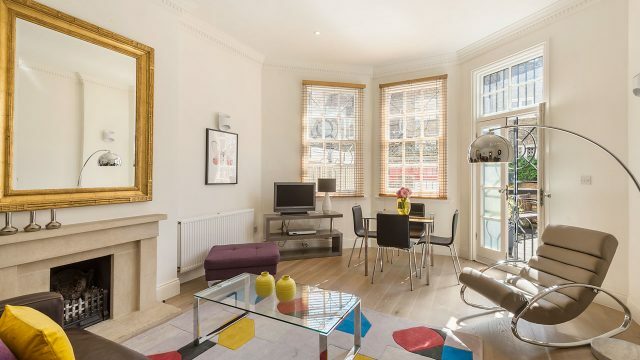 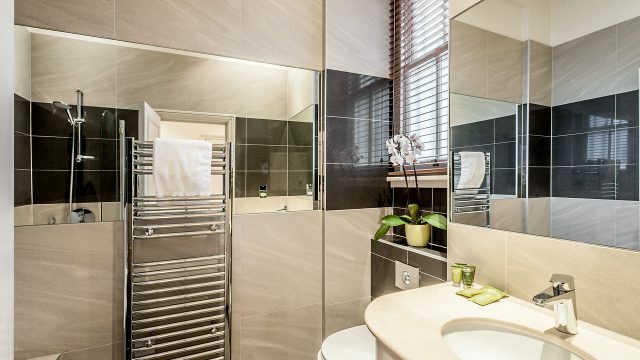 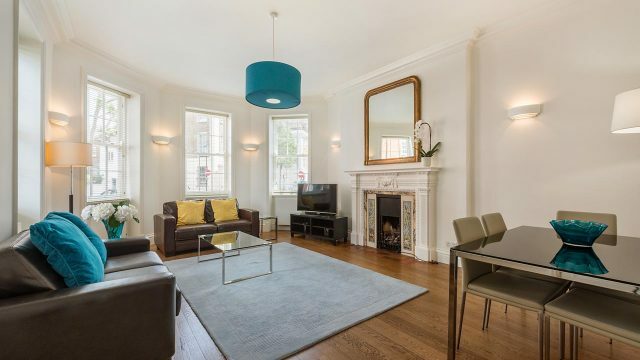 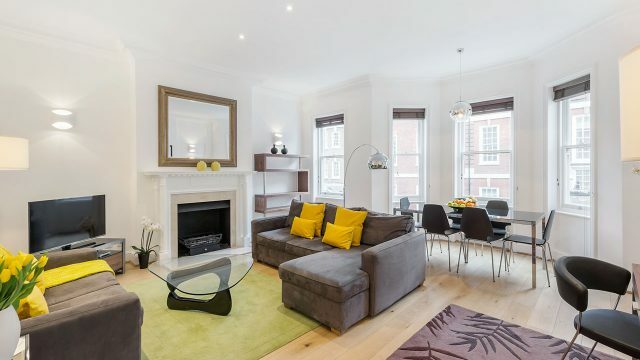 With King’s Road just around the corner and South Kensington and Sloane Square underground stations minutes away, this 1 bedroom serviced apartment is situated in the heart of the Royal Borough of Kensington and Chelsea. 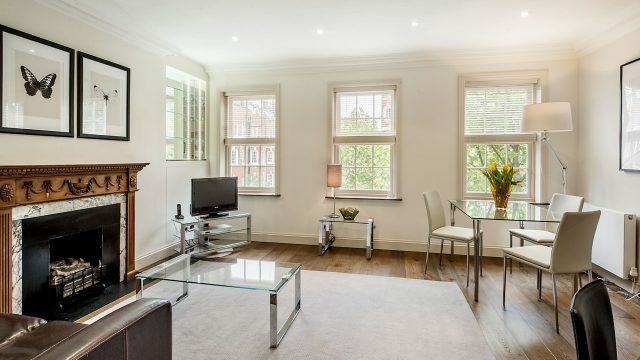 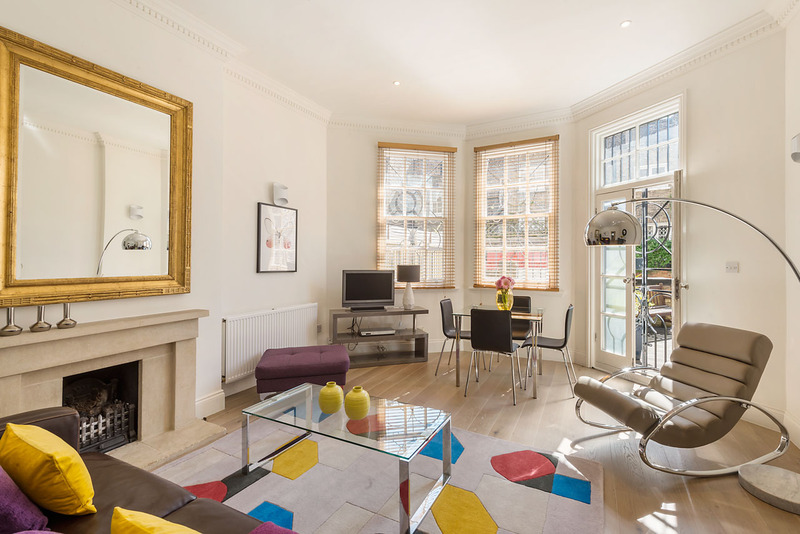 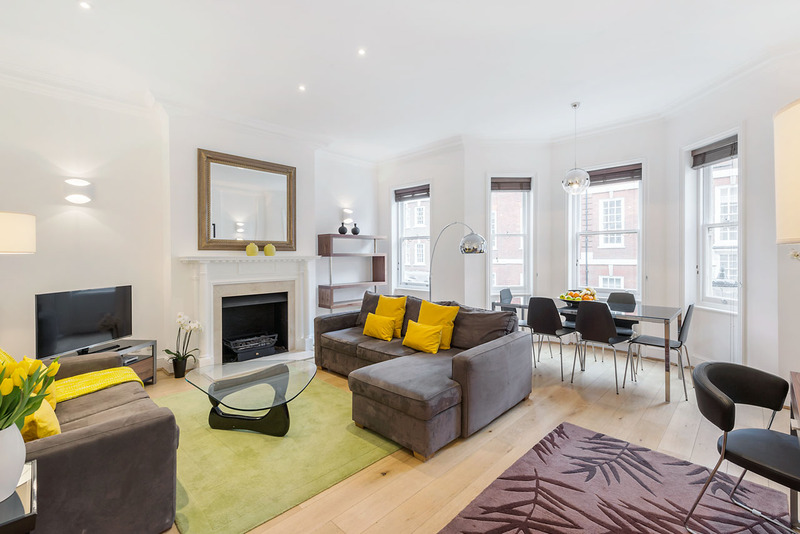 Our contemporary Superior apartment is centred in Draycott Place, in the heart of Chelsea with some apartments on other streets in the immediate vicinity. 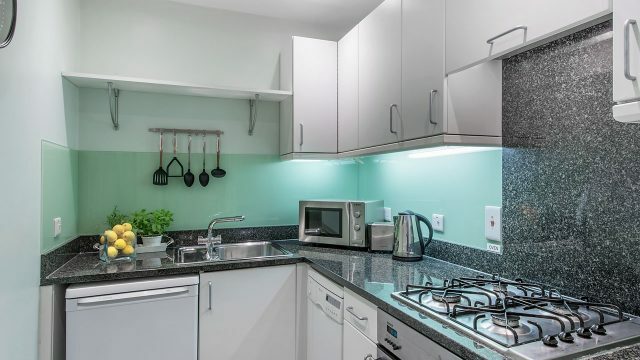 All 1-bedroom apartments have fully equipped fitted kitchens, en suite bathrooms, and a weekly maid/linen service is included in the price. 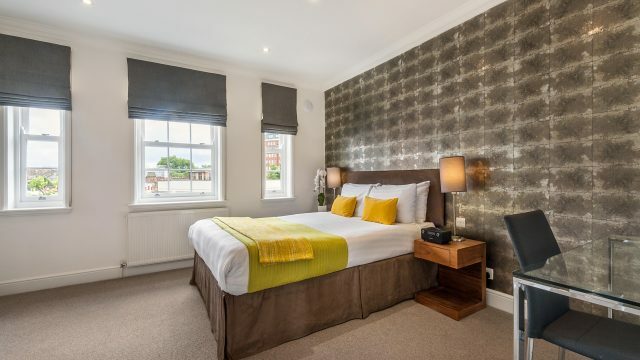 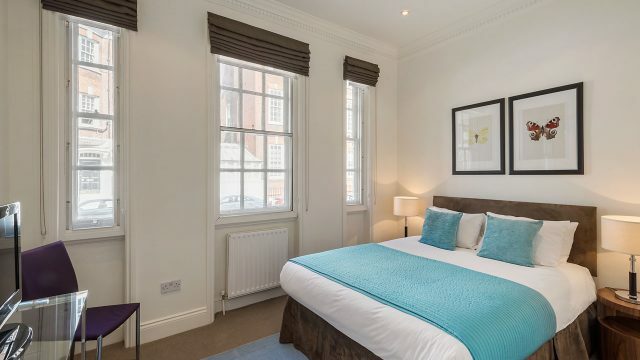 As one of our biggest serviced apartments we have available, this spacious 1-bedroom apartment in Chelsea is ideal for those looking for a long stay in London. 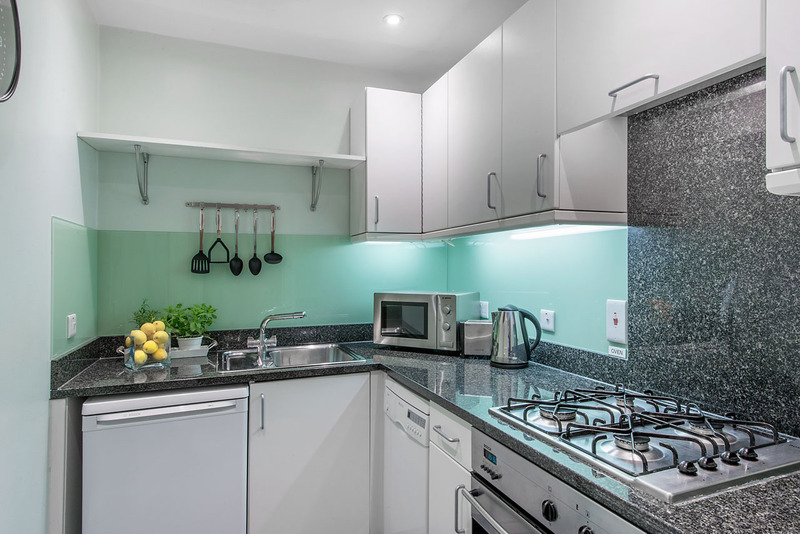 Our living space is 527×720 square feet or 49×67 square metres offering a comfortable stay. 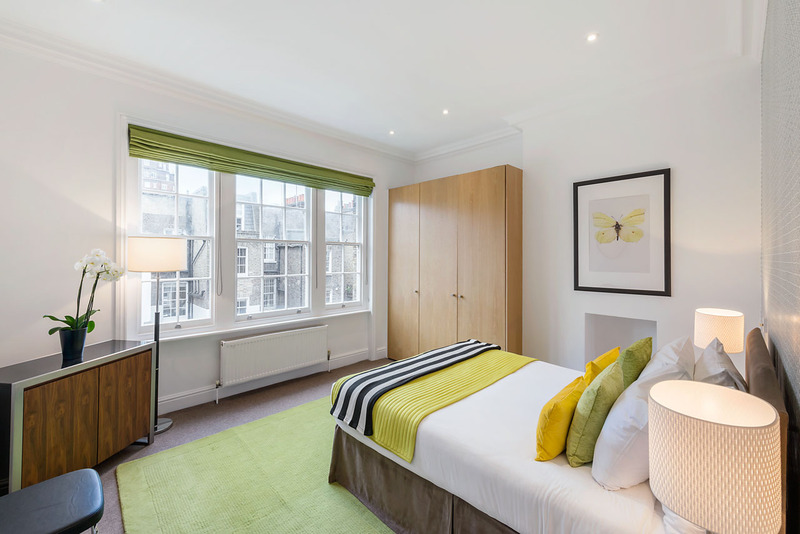 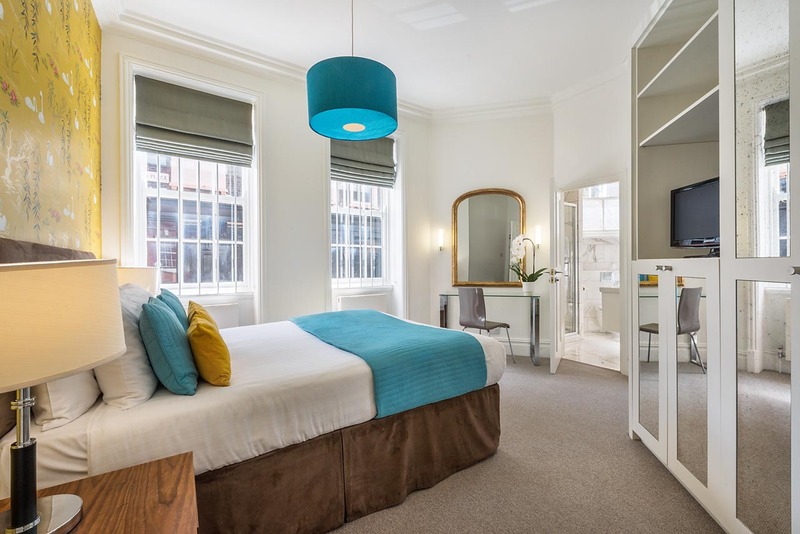 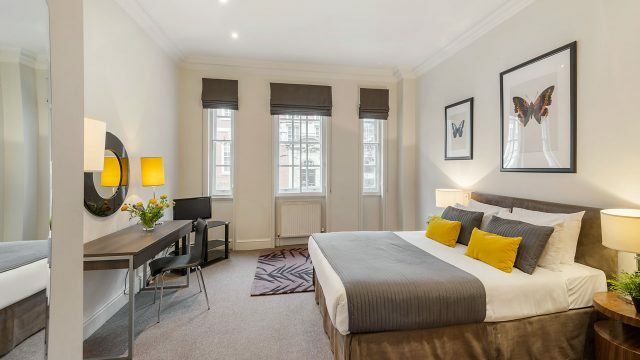 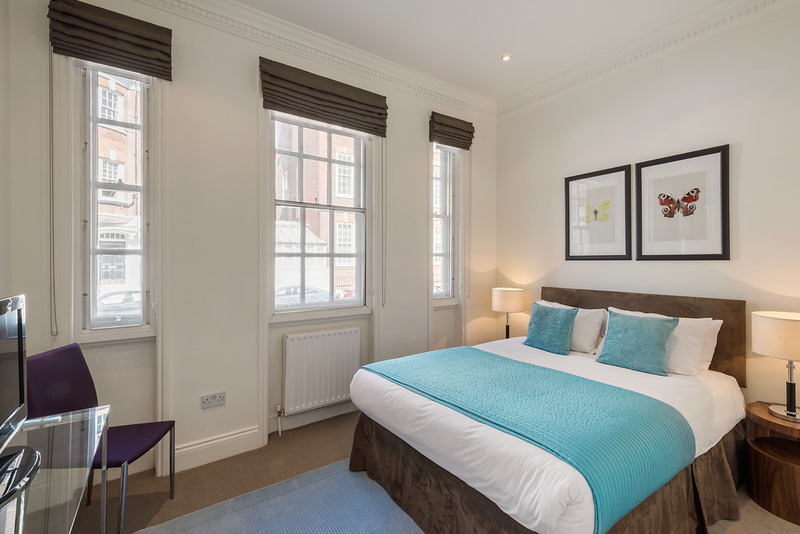 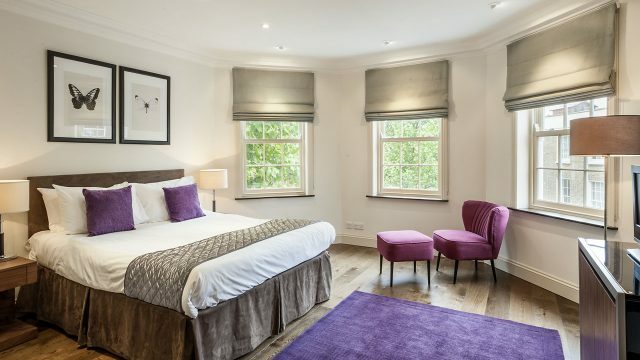 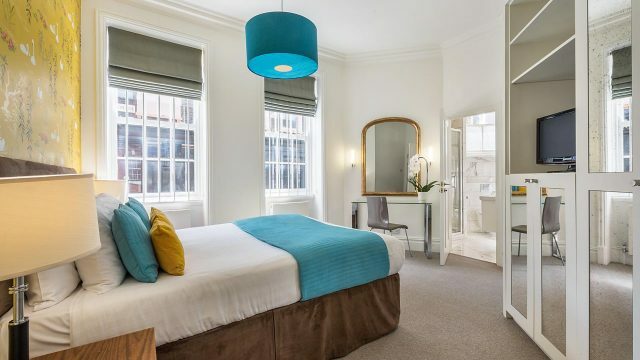 Similar to all of our Chelsea serviced apartments, the convenient location means that there are excellent links to Sloane Square underground station; which is just a 4-minute walk away. 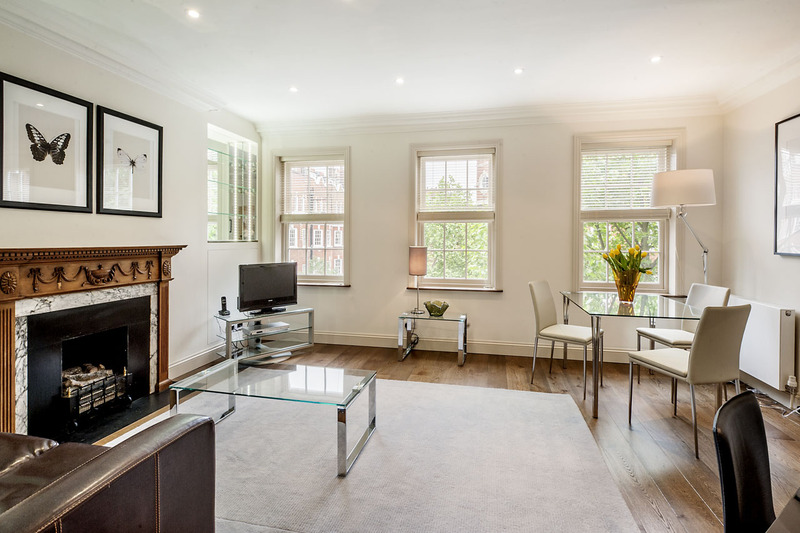 King’s Road is also within a minutes’ walk as well. 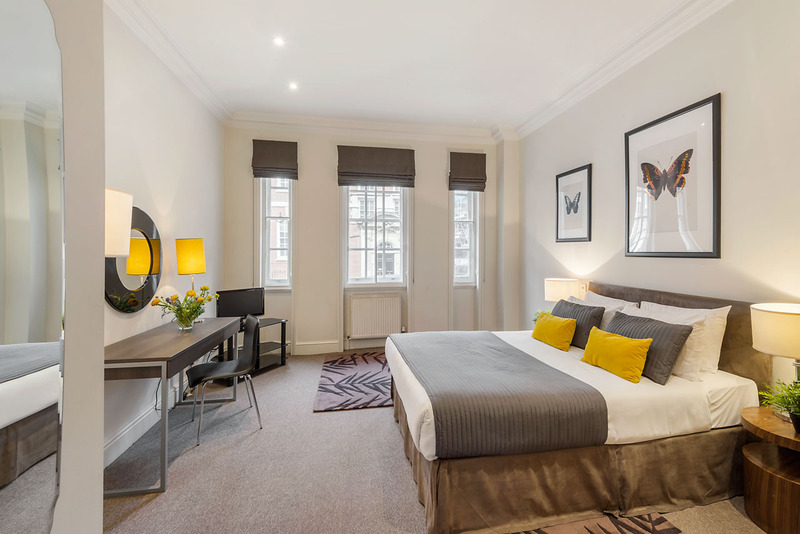 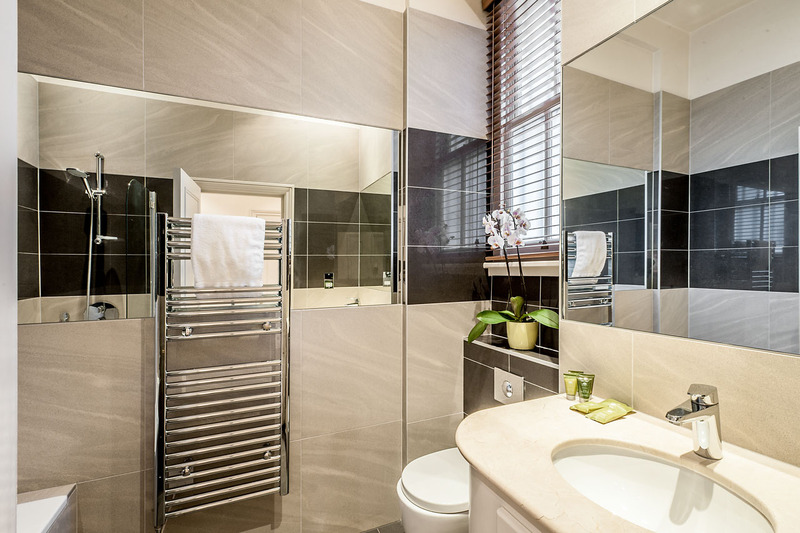 All of our long stay serviced apartments come with a range of complimentary amenities and facilities that are available to you during your stay. 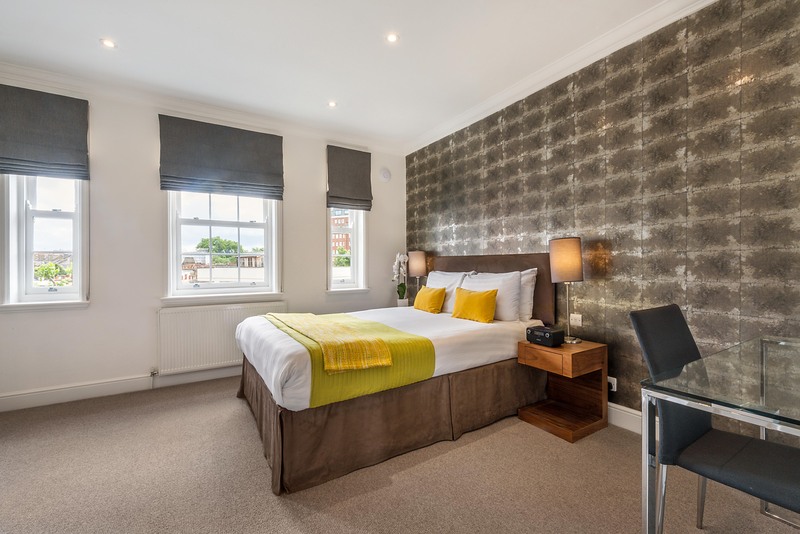 These include Wi-Fi, a flat screen TV and a fully equipped kitchen. 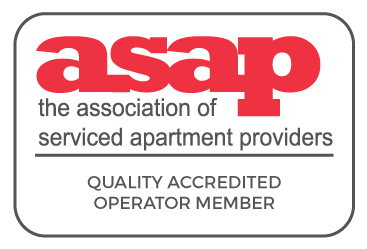 For a full list of the facilities, please take a look at our services page. 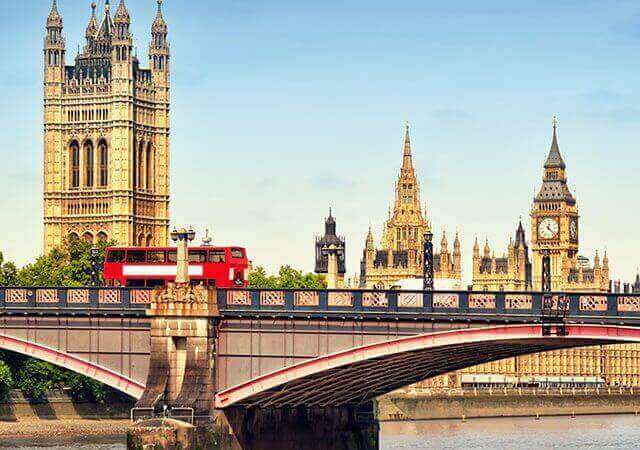 If there are any questions that have popped up, please feel free to get in touch. 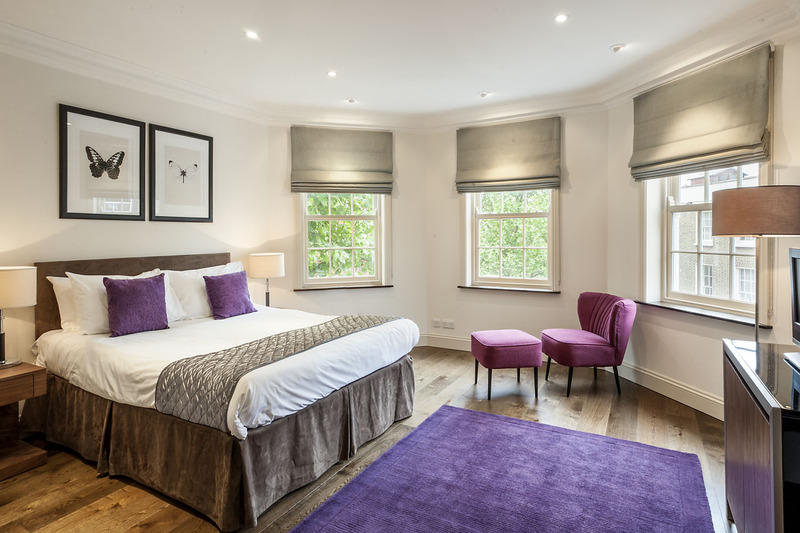 But before you do, please do check our FAQ’s page to make sure that we haven’t already answered your query!